Eye Care Specialists has three main locations and six satellite locations (remote locations that are not staffed every business day). Doctor availability varies by location. Clinic days vary. Dr. David Westrich, Dr. Shawn Parker, Dr. Tatyana Metelitsina, and Dr. Michael Katich work primarily out of the Cape Girardeau office. Eye Care Specialists is on the corner of Mount Auburn Rd. and Blattner. Look for a red brick building with a blue metal roof next to the fire station. From i-55 north… Take Exit 96, turn LEFT onto Route K / William, turn RIGHT at the Mt. Auburn stop light. Go STRAIGHT through a stoplight at Mt. Auburn and Doctors Park. Our office is on the LEFT. If you reach Bloomfield Rd. you’ve just passed it. From I-55 South… Take Exit 95, turn RIGHT onto Route 74 (Shawnee Pkwy). Turn LEFT at the Mt. Auburn stop light. Go STRAIGHT through the stop light at Mt. Auburn and Bloomfield Rd. Our office is the second building on the RIGHT just past the fire station. If you reach a stop light you’ve gone too far. From Illinois Route 146… Come across the Bill Emerson Bridge and stay on Route 74 (Shawnee Pkwy) until the Mt. Auburn stop light, turn RIGHT. Go STRAIGHT through the stop light at Mt. Auburn and Bloomfield Rd. Our office is the second building on the RIGHT just past the fire station. If you reach a stoplight you’ve gone too far. Clinic days vary. 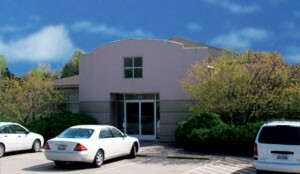 Dr. Todd Lumsden, Dr. John Kinder, Dr. Richard Kies, Dr. T. Kim Krummenacher, and Dr. Byron Santos work primarily out of the Cape Girardeau Doctor’s Park office. 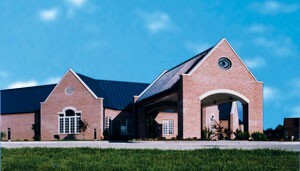 Eye Care Specialists in Doctors’ Park is a red brick building with a green metal roof in D Entrance. From i-55 north… Take Exit 96, turn LEFT onto Route K / William, turn RIGHT at the Mt. Auburn stop light. You will go straight through the stoplight at Mt. Auburn and Doctors Park, then turn RIGHT into D Entrance, the office is on your left. If you get to the stoplight at Bloomfield Rd. you’ve just past it. From I-55 South… Take Exit 95, turn RIGHT onto Route 74 (Shawnee Pkwy). Turn LEFT at the Mt. Auburn stop light. You will go straight through the stoplight at Mt. Auburn and Bloomfield Rd. Turn into D Entrance on your LEFT just past the office. From Illinois Route 146… Come across the Bill Emerson Bridge and stay on Route 74 (Shawnee Pkwy) until the Mt. Auburn stop light, turn RIGHT. You will go straight through the stoplight at Mt. Auburn and Bloomfield Rd. Turn into D Entrance on your LEFT just past the office. Dr. Brad Stuckenschneider works primarily out of the Poplar Bluff office. Clinic days are typically Mondays, Wednesdays, and Fridays. Dr. David Westrich and Dr. Tatyana Metelitsina each work out of our Poplar Bluff office 3-4 days per month typically on Tuesdays or Thursdays. 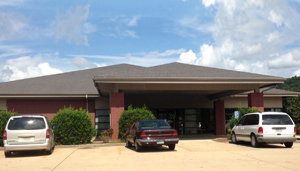 Eye Care Specialists is a red brick building with a blue roof to the right of the “copper top” building, Black River Medical Center. When traveling SOUTH on Hwy 67… Exit RIGHT (west) on to Route PP. Turn at the first RIGHT into Poplar Bluff Medical Park. 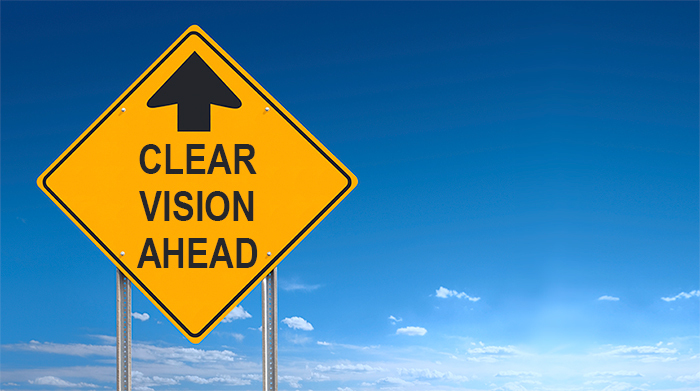 Follow the road to Eye Care Specialists. When traveling NORTH on Hwy 67… Exit RIGHT and turn LEFT (west) onto Route PP. Turn at the first RIGHT into Poplar Bluff Medical Park. Follow the road to Eye Care Specialists. Dr. Todd Lumsden sees patients at our Perryville location in the morning on the second and fourth Tuesday of each month. He performs surgery at the Perryville Hospital every third Monday. 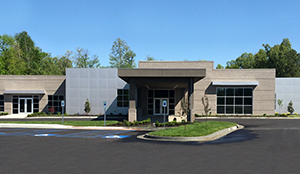 Eye Care Specialists in Perryville shares office space with Brost and Associates Family Eye Care. The building is grey with a brick entrance and is next to Winkler Plumbing and Heating. When heading North on MO-51 / Perryville Blvd… Turn RIGHT onto N. Kingshighway. At the traffic circle, take the 2nd exit onto North Main St. / Missouri Rt. B. Our office is on the RIGHT. When heading South on MO51 / North Main St… Turn LEFT on to North Main St. and our office will be on the LEFT. Dr. Brad Stuckenschneider has clinic days at our Piedmont location every other Thursday. Eye Care Specialists in Piedmont is housed in the Piedmont Physican Associates building (formerly Wayne Medical Center) located on the corner of Hwy 34 and Canyon Road across the street from the Clearwater High School. From Highway 67… Travel WEST on MO-34 for 13 miles. Our office will be on your RIGHT. From Annapolis… Travel EAST on MO-49 South / 2nd St. toward Jackson St. Continue to follow MO-49 South. MO-49 South turns slightly left and becomes E. Piedmont Ave. Our office will be on your LEFT. From Ellington… Travel on MO-21 South Turn LEFT onto State Hwy HH. Make a slight LEFT onto S. Main St. Turn RIGHT onto E. Piedmont Ave. Our office is on your LEFT. Dr. John Kinder travels to see patients at our Dexter office the fourth Thursday of each month. 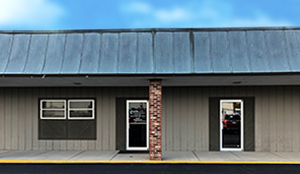 Eye Care Specialists in Dexter is in a long grey and brick building with a blue metal roof. We share a building with Select Physical Therapy and W.T. Kane Dentistry. When traveling on One Mile Rd… Turn RIGHT onto West Business US 60 if you are driving south on One Mile Rd into Dexter. Turn LEFT onto West Business US 60 if you are driving north on One Mile Rd. toward US 60. Right after passing McDonald’s turn LEFT into the parking lot. If you get to Keys Drugs or Pizza Hut you’ve just passed the building. Clinic days vary. Dr. Tatyana Metelitsina sees patients at our Carbondale location on Wednesdays. 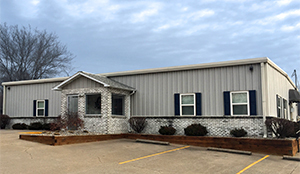 The Eye Care Specialists building in Carbondale is a light tan building on the right about a quarter mile down Cedar Court between the SI Foot & Ankle Clinic and Southern Illinois Health Care. When Traveling West on Hwy 13 / West Main… Hwy 13 (W Main Street) runs northwest to southeast through Carbondale. Our office is northwest of The Center for Medical Arts. Turn east at the stoplight onto East Striegel Road. Immediately make the first LEFT (north) turn into Cedar Court and our office is on the RIGHT. If you get to the private drive you’ve gone too far. Dr. Shawn Parker sees patients at our Marion location typically three Tuesdays per month in the morning. Dr. Parker performs cataract surgery at The Marion Healthcare Center in Marion approximately three afternoons per month on Tuesdays. When Traveling East on Hwy 13 / East Main… Turn north at the stoplight onto North Russell. You will see a digital Russell Medical Center sign on the corner at the stop light. Eye Care Specialists is the light tan building with a stone facing on the LEFT. Clinic days vary. Dr. David Westrich sees patients at our Paducah location typically three Tuesdays per month. 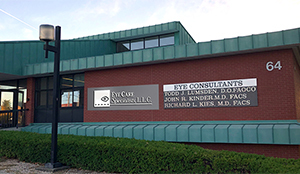 Eye Care Specialists in Paducah is in a grey and tan building and shares an office with Innovative Ophthalmology. 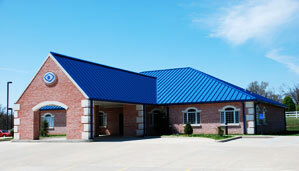 When Traveling on Lone Oak Road… Our office is on the corner of Lone Oak Road and Highland Blvd. We are near Mercy – Lourdes Urgent Care and St. Mary Elementary School.